Today, a few friends and I participated in the 2009 Austin Marathon Relay. 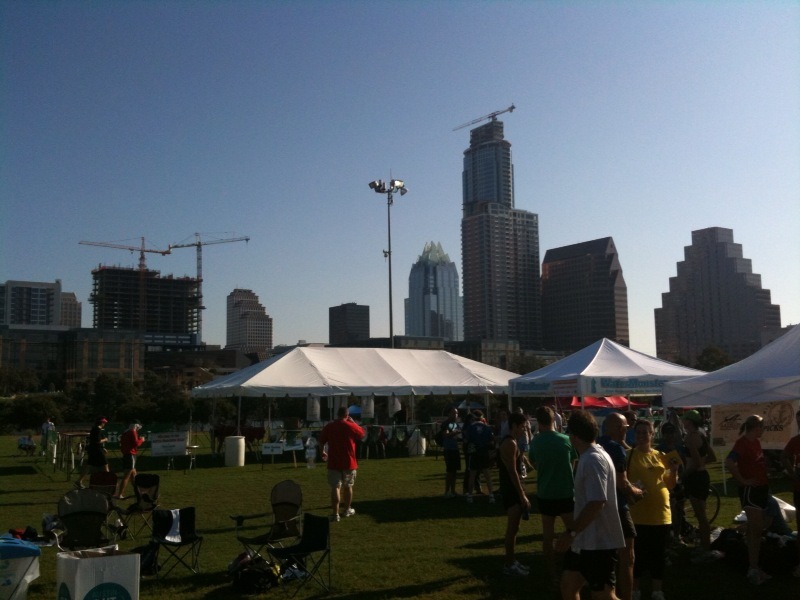 It was an early morning… the race started at 7am and was delayed slightly since the sun wasn’t up yet! On the bright side, there was a nice view of the Long Center in Austin while the sun was coming up. Once the sun came out, things picked up and people started running! I had the honor of running the first leg of the race which was a 12K that weaved around downtown Austin. 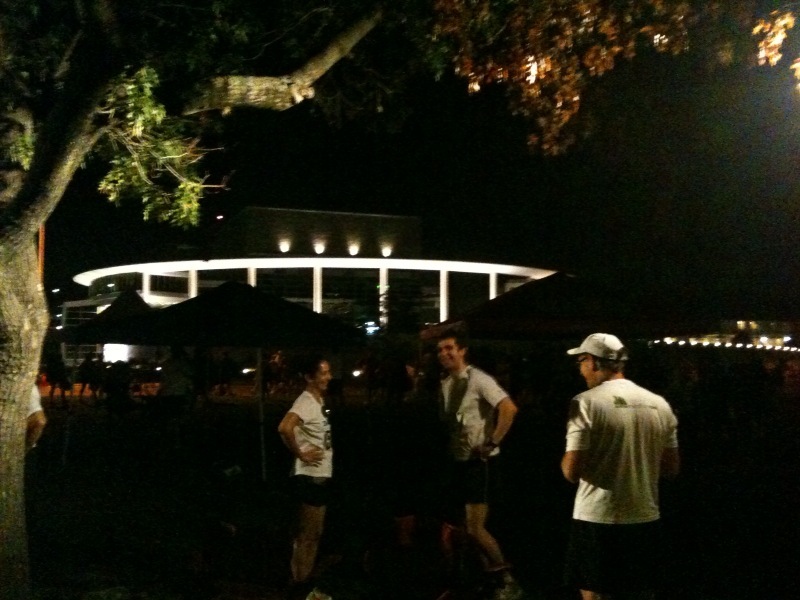 It started out great, I crossed the first mile marker at about a 6:30 pace and then things went bad as I came around the Texas Capitol building. My stomach wasn’t cooperating and was on its way to give me the runner’s version of Montezuma’s Revenge. I had to make a quick pit stop and picked things up to finish just under a weak 52 minutes. Overall, the team did well, no injuries and lots of fun! To numb the pain of what I viewed as a terrible time for my 12K, I headed for the beer tent! The only downside of the beer tent was like in hell, it only served Heineken Light. But hey, it’s free beer! 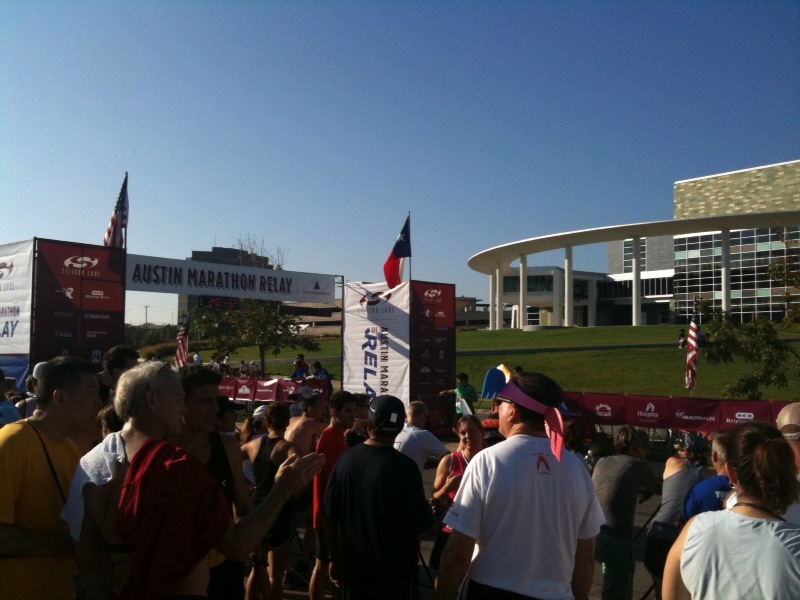 Next up on the schedule is the Run Austin Run half marathon!